Romantic comedies are all the rage in Hollywood, but not all are created equal. In the wake of all the rom-coms that are released, how can one person find the time to watch them all? 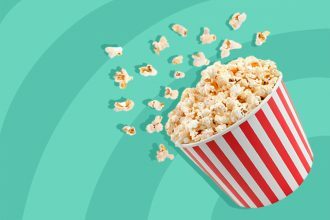 It’s near impossible – which is why we’ve created a list of the best on Netflix*, perfect for a binge session with a significant other, a group of friends, or a tub of ice-cream if you so prefer. An interesting take on the rom-com, 27 Dresses is a love story that largely focuses on other peoples’ weddings, since Jane (Katherine Heigel) spends her time helping her loved ones get married. A lighthearted look at the nature of marriage, with plenty of gorgeous wedding dresses (and some terrible ones) to be seen, the quips and romantic chemistry between Jane and Kevin (James Marsden) are perfect for any rom-com lover. Julia Roberts’ career spans several decades and an array of different genres, but her romcom work will always remain legendary. Set in a bookshop that’s now become a tourist attraction, Notting Hill is one of her quintessential roles. A reserved bookshop owner, a dazzling movie star, and a whole lot of complications before they get to their happy ending, make for a great viewing experience. An oldie but a goodie, this movie-musical has cemented its place in cinematic history for its infectiously bright songs, the brilliant on-screen chemistry between its two leads (off-screen, not so much), and its dedication to hair products. Which makes it the perfect addition to any Netflix rom-com binge. When it comes to loving another person, it’s important to remember to love yourself. Which is what Cal learns in Crazy Stupid Love, where breaking up with his wife forces him to change his life around in a journey that includes the womanising Jacob Palmer (Ryan Gosling), a new wardrobe, and a new way of approaching the world on his way to get back his girl. The movie version of Barbra Streisand’s iconic Broadway role as the stunning theatre star Fanny Brice, Funny Girl is the story of a relationship going through flux, complicated by stardom and underhand activities, with a great soundtrack for support. The film’s also been considered ‘culturally, historically, or aesthetically significant’ by the United States Library of Congress, so it’s a true piece of history. This 2015 film has one of the most interesting premises of the movies on this list – single people are invited to a luxurious castle/hotel, where they have 45 days to fall in love. If they don’t meet the deadline, they get turned into an animal of their choice, presumably so they can find love in another species. 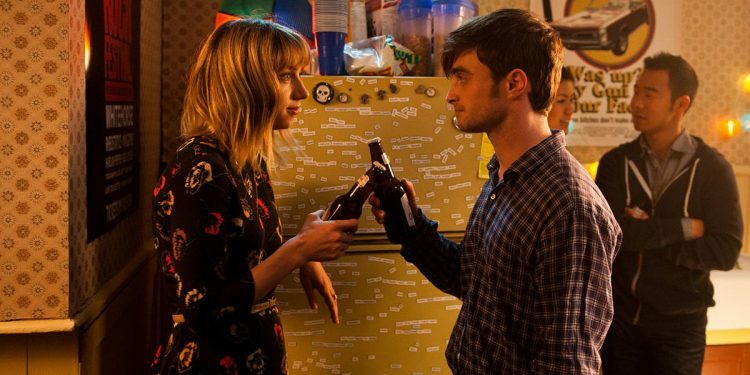 For those of you who still think of Daniel Radcliffe as Harry Potter, What If will make you question everything: What if you fell in love with someone who was with someone else? What if their relationship isn’t working out? What if you had to watch the love of your life step on a plane to move to another country? What if you could find out the answers to these questions by watching a movie? Anyone who’s been through a breakup will find something to sympathise with in this one – after all, who’d want to go on vacation to forget about the fact that they’d been dumped, just to run into the ex and her new boyfriend? A hellish scenario, played out brilliantly by Jason Segel, Kristen Bell, Mila Kunis, and Russell Brand – a quartet of brilliant actors bringing their skills to the story. One of the most famous love stories of all time, with legions of girls falling in love with Mr Darcy since the book’s publication, Pride and Prejudice is a must-see. 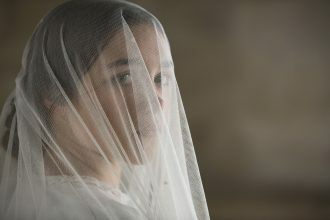 Keira Knightley plays the beautiful, intelligent Elizabeth Bennet, a feminist heroine before feminism had a name, who grapples with her feelings for the socially-awkward, dashing Mr Darcy (Matthew Macfadyen) in the midst of her marriage-obsessed family and traditional society. The protagonists may be a bit younger than the rest on this list, but the sweet relationships that blossom between high school students suffering through an all-day detention are worth a mention. While breaking down stereotypes and having new experiences on a Saturday stuck in school, the characters end up in relationships that challenge the status quo: the princess with the rebel, the jock with the recluse, and the brain with his completed penitence essay.